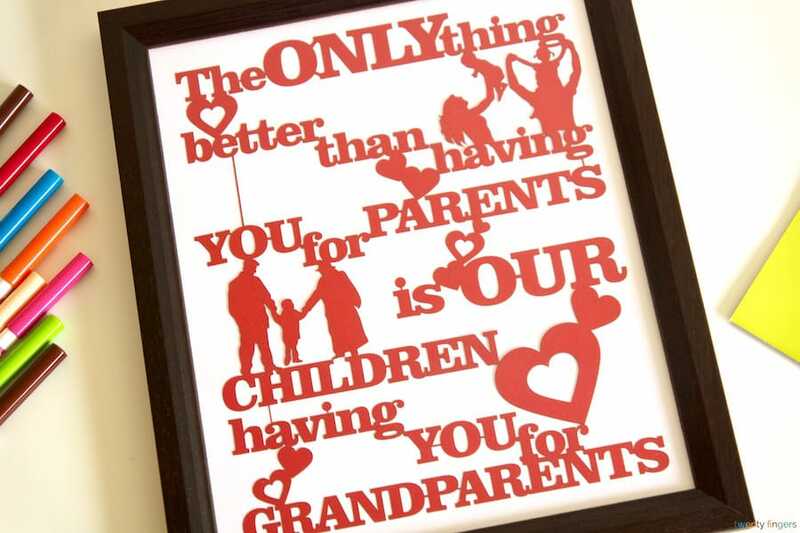 Do you want to repay your parents for a lifetime of love and support? 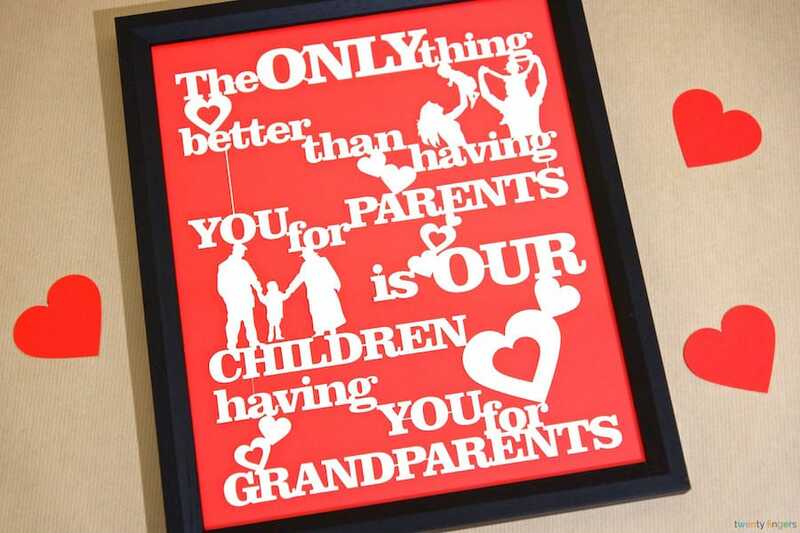 Finding it hard to pick out the perfect, meaningful gift for grandparents to show your thanks and gratitude? Why not gift them our gorgeous Only Thing Better Papercut which celebrates your special family in style, and lets them know how important they are to you and your children – imagine the happy surprise on their faces as they open this – truly unforgettable. 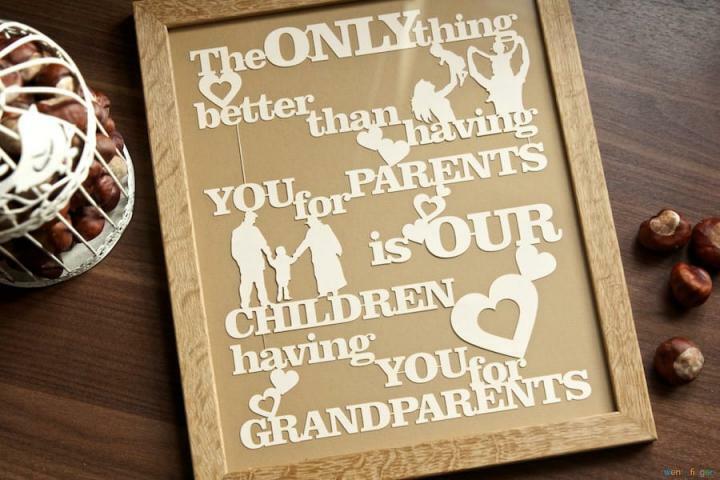 This delightful gift can be personalised in so many ways to create a papercut that is truly a one off. Select the frame you want and the background colour, as well as the colour you want your papercut to be. 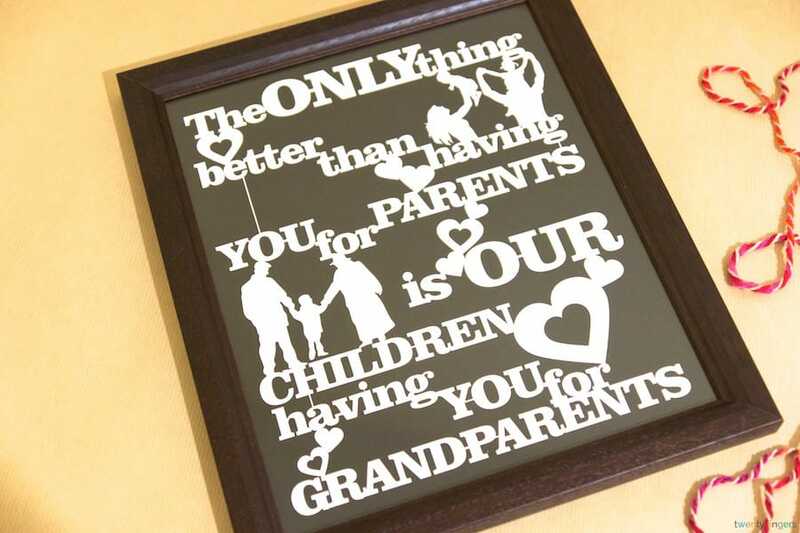 You can even tell us exactly what text you want displayed - if you’re gifting it for just a special Grandpa or Nana instead of two Grandparents, for example, or want to include the names of your kids to make it more personal. Unique, original and stylish, this is a piece that will make a perfect talking point wherever they choose to display it, and it will give them something to treasure for many years. Let them know how appreciated they are with this elegant personalised gift – we promise they won’t forget it in a hurry! Choose the background colour you want to complement your. Fill in your personalisation instructions (if any). Framed using one of our unique, handmade traditional style frames designed by us and specially made by our local framers in Buckinghamshire. We’ll mount your artwork on the background of your choice to perfectly complement it and ensure your recipient can display it with pride. Framed using one of our unique, handmade floating frames designed by us and made by our local framers in Buckinghamshire. Unframed. If you have your own frame or are not sure about matching colours and décor, you can order your papercut without a frame. We’ll design and cut it for you. It will be temporarily mounted to corrugated paper to ensure it’s not damaged on its way to you. 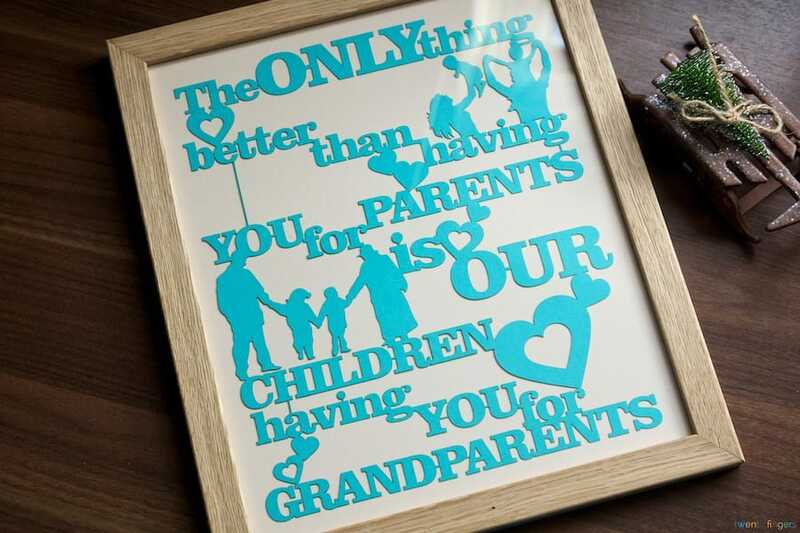 Unframed papercuts will be approximately A4 or A3 size depending on your initial order selection.